The Guardians of the Galaxy have been grounded! The spacefaring super heroes are stuck, of all places, on Earth. And to make matters worse, they're also not necessarily a team anymore. 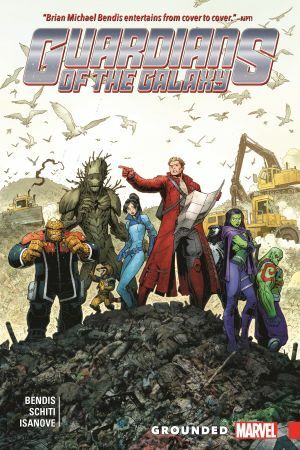 What's an urban spaceman like Peter Quill to do? As Groot explores the world's forests, can Angela of Heven find a place among the heroes of Midgard? Meanwhile, the most dangerous woman in the galaxy becomes S.H.I.E.L.D. 's deadliest target - but Gamora won't be stopped until she kills Thanos! And speaking of ol' purple-puss, with the team scattered to the winds, could the Mad Titan be the only thing that could bring the band back together? 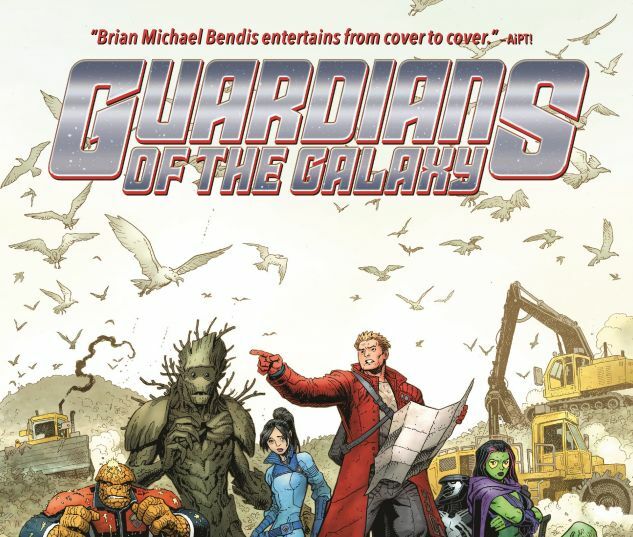 Brian Michael Bendis concludes his Guardians era with a blockbuster finish! 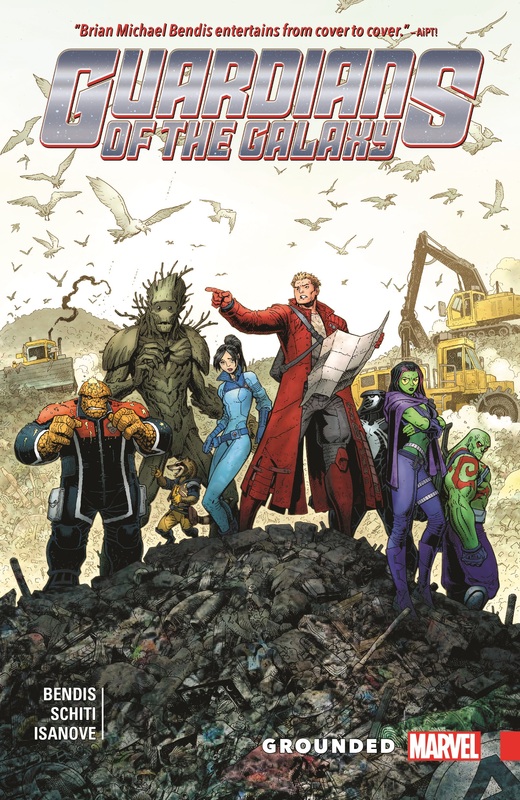 Collecting GUARDIANS OF THE GALAXY (2015) #15-19.